Forest Security, Inc. is recognized as a leading provider of security systems and services to homeowners throughout the Greater Chicago Metropolitan Area. We have been offering our exceptional home security systems for over 35 years. As a family-owned and operated company, we are well-known for developing the best home security systems and protection technology to fit our customers’ needs and their budgets. Forest Security is distinguished as consistently placing customer satisfaction as its top priority. Furthermore, we are known across Chicagoland for our high standards and unequaled products and technological expertise. When you select the unparalleled team of professionals at Forest Security, you will never regret it! Besides that, you can always trust that we will be there when you need us, to provide the protection you and your family deserve in addition to safeguarding your valuables and property with the leading wireless home security systems in the region. As a result, when our Schiller Park neighbors are considering having one of our security systems installed, Forest Security is the only name they need to know. 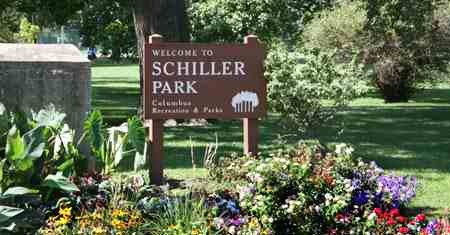 Schiller Park is in Cook County and has approximately 12,000 residents. River Grove, home of Forest Security, is conveniently located slightly over three miles southeast of Schiller Park. After our Schiller Park residents hire us to install one of our security systems, they are 15 times less likely to be burglarized. Moreover, we possess the remarkable and quality choices of home security systems that our Schiller Park residents know will not only be exactly what they need, but they will not exceed their budgets! In fact, our remarkable technicians are highly-respected for helping their Schiller Park clients in all aspects of the installation of the best home security systems in the industry. It’s no wonder that our Schiller Park customers can relax in the knowledge that rest assured that the home security systems Forest Security installs will suit them to a tee! It’s important to understand that you don’t have to be a victim of crime, and Forest Security can help you prevent that from happening! After our state-of-the-art home security systems are installed in your home, it is more likely that the burglars will go elsewhere! You can also be assured that not only will Forest Security meet your expectations, but we will frequently exceed them. We have a most conscientious team who will response to customers’ alarms 24/7, so you can expect to have the peace of mind you deserve. No matter if you are heading out of town or you are planning for a quiet evening at home, Forest Security will be providing you with the reliable protection you deserve. Keeping your home secure from any risks caused by intruders, fire and other dangers, our business, and we do it well! With our cutting edge technology and prompt response time, you can rely upon us to keep you safe and sound. For the round-the-clock, on-call security systems you can depend upon, give Forest Security, Inc. a call, today, at: (708) 452-2000 for your FREE, no obligation consultation and price quote.